Chepstow Wind Turbine Factory in Layoffs & Failure! predictably the dishonest wind turbine factory founded on Government grants and false hopes is facing the truth it seems – resulting in layoffs and failure. Sad though it is for those who were duped into these clearly unsound jobs it is good to see reality being forced upon the idiotic Wind Farm scams, as the truth becomes known, in that Wind Turbines have no meaningful use on a large scale and are grossly inefficient producers of power and an unsightly blot on any landscape. That subsidies are required to cover the pretence of their efficacy is unsurprising and it does seem that Governments have promoted this gross abuse of tax payers money as a means to levy further taxes for revenue to hide the fact that they have failed in their duty to ensure security of power supply by planning and providing nuclear, oil, gas, coal and viable generation of electricity! ENGINEERING firm Mabey Bridge is to shed up to 45 jobs in the second round of redundancies this year at its wind turbine factory in Chepstow. The company, which at the turn of the year employed 190 staff at its Newhouse Farm site, cut staff in February, but has been forced into more job losses. “We regret having to make this difficult decision. As a family business we are actively seeking ways to redeploy, retrain and move work between our businesses to minimise any job losses during this period,” said a spokesman. The company, part of the Mabey Group, bought the Newhouse site three and a half years ago, developing it as a manufacturing base for wind turbine towers, through a £38 million investment. “The UK renewables market has become increasingly competitive, with product now supplied from mainland Europe and even further afield,” said the spokesman. “Our customers have also been affected by a drop in the level of government support for onshore wind. “Earlier this year we did take steps to improve our shift working patterns and operational flexibility at Newhouse, with every effort made to minimise impact on the workforce. “After consulting staff, 13 jobs were unfortunately affected. Although these changes boosted output, further improvements are still required to keep us competitive. It is anticipated that these further steps could potentially affect 25 to 45 jobs. “The business remains committed to the renewables and energy sector and we continue to win new orders for wind turbine towers. The company has stressed that its other factories, another in Chepstow, and in Lydney, are not affected by this decision. Perhaps the facts, and the scam behind the wind turbine propaganda and the false science of global warming as a fact, which it would seem there is no sound scientific evidence to support, and that it is an anthropogenic problem merely highlights the dishonesty or to give the benefit of the doubt, stupidity of the green propaganda and shoddy misrepresentations by the likes of Al Gore and Pashrami and the cohorts of hangers on exploiting the scam! IT WAS with much regret, when reading your article on June 12, I learned of more skilled engineering job losses at Mabey Bridges Wind Turbine Fabrication yard. This, coupled with the recent demise of local firm Rowecord, will make it even more difficult for the likes of welders, platers and fabricators to find employment in the locality. And yet, on the same date in a daily newspaper business section, a chief of RenewableUK stated that thousands of quality jobs may be at risk unless Britain builds more factories to make offshore wind turbines. 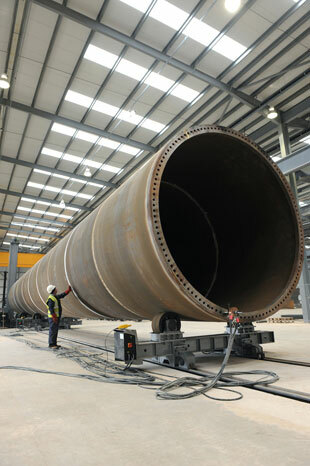 Maria McCaffery, RenewableUK’s chief, said it was a once-in-a-generation opportunity to build large scale, offshore windfarm supply factories, and said that by 2030 the UK would need 39 such fabrication yards to enable the UK to attain its future Green Energy commitments. Something here does not add up to me.